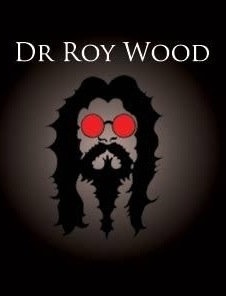 I cannot help but believe Roy Wood must have asked hiself, at least once a week for the part forty years, the question “Now, where exactly did it all go wrong?” His career having been on a seemingly inexorable downward slide since those heady hit-single laden days of the late 60s/early 70s. Or perhaps his decline simply appeared all the more marked, when compared to the stellar rise of his old mucker Jeff Lynne. Wood had been a founder member of The Move, back in 1965, and penned each of the band’s seven top ten hits, including the 1968 number one Blackberry Way. Fellow Brummie Lynne had been invited on board two years later following Carl Wayne's departure, and had contributed both songwriting and vocals thereafter, co-singing on the band’s 1972 hit California Man. The pair had formed The Electric Light Orchestra, initially as an experimental offshoot of The Move, enjoying a surprise top ten visit with the cello-heavy 10538 Overture. Wood at this point deciding to meld Fifties' Rock and Roll revivalism with the then ascendant glam rock in a new outfit Wizzard, leaving Lynne to………….well, we all know what Jeff did. Wizzard enjoyed a clutch of top ten hits, but their debut album, the challengingly bonkers Wizzard’s Brew would, I am sure, have alienated kids seeking out more Ball Park Incidents. And the band just sort of ran out of steam, and cash apparently, not long after The Big Xmas One. Wood was releasing solo albums around this time, and I recall watching baffled as he performed the dirge-some Dear Elaine on TOTP, and thinking “Bad career move, Roy.” Forever, was a quality piece of Fifties' retro-pop though. For much of the next few decades as Lynne’s star rose and rose, Wood appeared to morph into The Invisible Man, although announcements of interesting sounding collaborations would appear (and just a swiftly disappear, it seemed) from time to time. Paul Corry and Roy Wood. Sometime around 2007, as far as I can ascertain, he put together his Rock & Roll Band, and began touring the circuit performing all those Move and Wizzard hits; a path he has been treading for almost a decade now with little sign of slowing down, even though the man reached the big Seven-O late last year. This outfit incorporates both a saxophone quartet and a female singer; she (Shell Naylor) sharing vocals on a number of tunes. Although interestingly enough, Blackberry Way the song sung in the highest key (E minor, we learned), Roy’s aging tonsils handled just fine. Indeed, his voice was on grand form throughout, as were his band as the hits just kept on coming, and it appeared in no way incongruous to be in the company of a thousand-plus middle-aged Glaswegians belting out “Well, I wish it could be Christmas every day!” on a wet February evening. And I smiled at the way he began the spoken introduction to each song with “'Ere's one”, as if the notion of performing it had just occurred to him. The show was fleshed out with a number of, what I took to be, more recent compositions. All of which were great fun. Kiss Me Goodnight, Boadicea was a bouncy tale of a young soldier's attempt to dissuade the Queen of the Ancient Britons from her bloodletting, with a bout of jiggy-jiggy. Roy’s Revenge was a sax-driven instrumental which showcased a lengthy drum solo by Roy Adams, which forded the rest of the band ample time for a pee-break. And during the Wizzard minor hit Are You Ready to Rock, Roy W delighted us all by giving his bagpipes a fair old blow. Even though he made no secret of the fact he hates the “bloody things”, and fervently wished he had never picked them up in the first place all those years ago. Take a deep breath, now.